Here comes the Jennifer Peaslee to boost Women Power. Women makes world a better place. 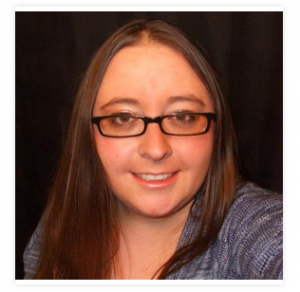 Today I am going to introduce you with one more power blogger Jennifer Peaslee. Interviews are the great way to know person, her struggle, life journey and achievements. It make all of us strong and also give inspiration to create our own world of happiness. This is the 13th edition of powerful, successful and inspirational interviews in the series of Journey of a Professional Blogger, interviews on EASKME.com. Today we are going to publish interview with a professional Blogger, Jennifer Peaslee (Pro-Blogger and Writer) from Thesavingsopportunity.com. I have been a freelancer for a little over 2 years, writing, researching, editing, managing social media pages, and so on. My first job was writing for a coupon blog, and then I branched out to Elance and got a number of other jobs on various topics, from coupons and deals to technology and small business topics. Somewhere along the way I started thinking "hey, if they can do it, why can't I?" I was getting paid for my work, of course, but I knew that the bloggers running the sites were making much more than that. Anyway, I started to gather resources related to blogging - websites, tips, names of affiliate programs, etc - thinking that "some day" I might take the plunge myself. I put it off for a while because I didn't really understand hosting and setting the blog up and I didn't really have extra money to invest in a blog. However, in mid January, 2015, a blog I follow was offering a special deal - for only $1 they would register my domain name of choice, get me 1 year of hosting, and install WordPress. I knew it was my time, because I would only have to invest $1 and then I'd have a full year to see if I liked blogging on my own! Right now I'm going strong after a little over 3 months. I still work as a freelancer to pay the bills, but I love blogging on my own website. I'm growing it little by little, with hopes that I may start making a little money, which would allow me to cut back on freelancing and spend more time on my blog. As I mentioned earlier, the idea to make my own blog came from working as a freelance writer for other blogs - obviously there was money to be made (more money than I was making as just a writer) and if they could do it, why not me? One of my obstacles was not understanding the web setup part of things - I understood how to use WordPress and I understood blogs from a content standpoint, but I had no clue how to actually get a blog up and running first. Another obstacle was money - starting a blog requires an upfront cost, paying for your domain, getting hosting and such. However, it felt like it was meant to be one day in January 2015 when I got an email from Blogelina (a blog I was following) about a $1 blog setup that included domain name, 1 year of hosting, and WordPress installation. Tanya from Blogelina was really nice and we worked on getting things set up through a series of emails. About a week later I had my own blog with nothing but a "Hello World" post. That's when the reality set in - all the work I would have to do not just with content, but also designing the site, setting it up, etc. I wasn't quite prepared for all that, but I just explored on my own and any time I got stuck I just Googled to find an answer. Luckily it was the weekend - and by the end of the weekend I had my basic design/setup and a couple posts on my blog. I definitely think blogging can change someone's life - the changes don't have to be big, but they'll definitely have a positive influence on your life. By blogging on my own (versus just freelancing) I've learned SO much more! I've also been able to connect and network with other bloggers so I've gotten help and made friends along the way. On a personal note, I think blogging has actually improved my relationship with my husband. He's got a LOT of hobbies (fishing, hunting, archery, trapping, and more) but I never had a hobby that I actually stuck with. Therefore (I admit it!) I'd be somewhat of a nag as he went to pursue his hobbies and left me home alone. With my blog, it doesn't bother me anymore. He has his own hobbies and I have mine. We each do our own thing, then come back later to talk about the hobbies and spend our own quality time together. In that way it has improved our understanding, communication, and overall relationship. For social media, I primarily use Twitter, Facebook, Google+ and Pinterest. I like to use Hootsuite for easily scheduling my social media posts in advance. Then I like to participate in social sharing sites like Triberr and Viral Content Buzz (VCB). A final website tool I love is called SumoMe. On the marketing side of things it can help provide easy access to social shares with a scrolling share bar, and there are also tools that help build your email list. As a work at home freelancer I get to make my own schedule, which is awesome! I don't use an alarm to wake up most days. I start out by checking my personal and blog emails, then checking in on my Twitter and blog page to see stats and notifications. After that I do my freelance work, sometimes taking a break for blogging stuff and sometimes saving it for the end of the day. I'm busier Monday-Wednesday, but on Thursday and Friday my schedule usually opens up more so I can write and work on blog promotion. To me, blogging is a forum where you can communicate with a world much bigger than your physical space - a world that extends to places you may never visit and people you may never meet. With blogging I can share helpful information, opinions, personal stories, etc - and know that someday, somewhere, my words are going to connect with someone else. Blogging is the forum for story telling in the digital age, giving everyone who does it a voice with a worldwide reach. When a person connects with blogging, it becomes more than just a pasttime, but rather a true passion. The one blog I can't get enough of is Blogelina. She writes about blogging, so I get a lot of great ideas in every area - content ideas, marketing ideas, blogging tools and more. She also has free resources (and paid ones too) and she runs blogging events such as a weekly link up and a 'commentathon' every now and then. Regarding SEO, I use the Yoast plugin, so I basically write my post with a keyword in mind, then do all the task that I can to hopefully get the 'green light.' That only takes a few minutes (maybe up to 5 minutes) per article. With my freelance work, I don't have a lot of time every day to work on my own blogging. I write new posts about 2-3 times per week and usually spend anywhere from 2-6 hours writing and getting them ready (formatting, images, SEO, etc). On days I don't write I do try to do at least one or two things blogging-related: social media, tasks on affiliate websites, networking with other bloggers, sharing giveaway or smaller posts (like coupons) which takes 0.5-1hour. I'd say my blogging time varies from 1 hour on some days to full time 8 hours on other days. To readers who only read blogs and don't have their own: please continue to share your love with the blogs you enjoy! Follow them on social media, comment on posts, share posts and tell friends, interact with the bloggers. There is a lot of work that goes on behind the scenes and sometimes it feels like no one cares - the love we get from readers is what motivates us to continue through the hard times. To readers who own their own blog - keep on going, push through the hard times, and put 100% of yourself in every time you blog. Part of the key to blogging success is longevity, so if you can keep at it, your blog will grow over time as will your readers, followers, and other stats. Don't try to go it alone either! Put yourself out there and connect with other bloggers. They can provide the help and support you need, and become your lifelong friends. It was a great interview with Jennifer Peaslee from Thesavingsopportunity.com. eAskme team wish her best of luck and bright future. Her journey as a blogger is an inspiration. If you think that you are a women and you can`t do it, think again. You have the ability to do anything and be what you want to be. So if you still waiting to start a blog, I must say you should start it right now. Don`t forget to share about Jennifer Peaslee on your social profiles. If you want me to Publish your interview, feel free to contact me.